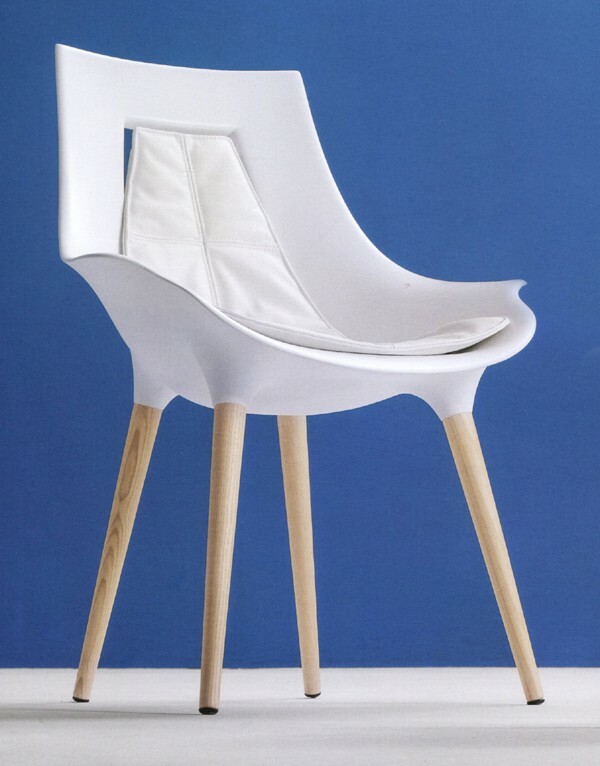 A stunning modern armchair, the production techniques used are as impressive as the design. 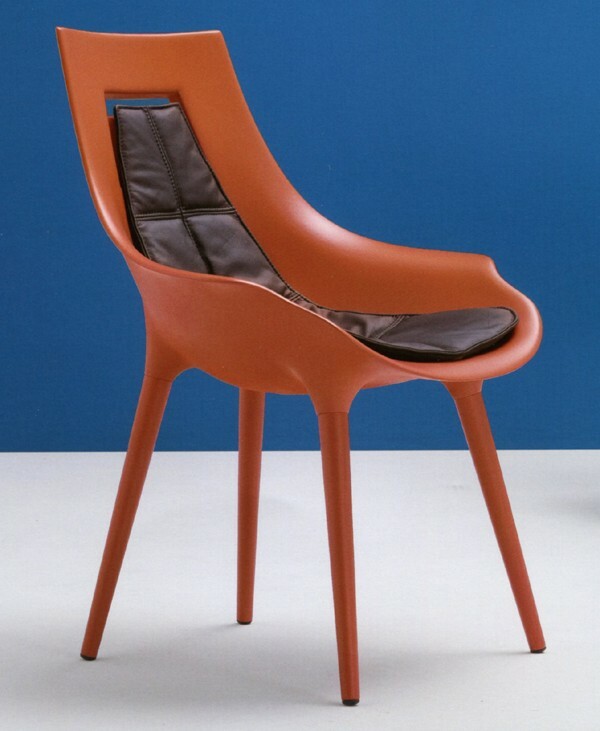 The seat consists of a semi rigid, high density polyurethane foam moulded over a strong internal metal frame. 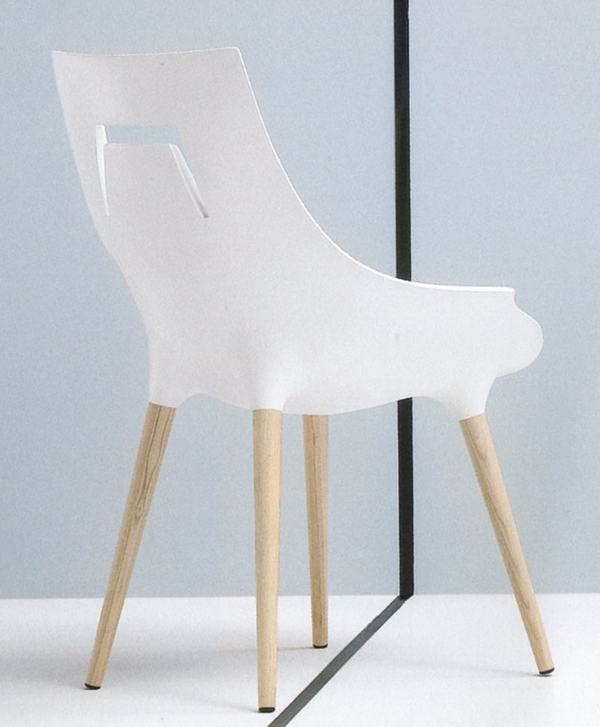 The legs are solid wood, with a choice of wood or lacquered finishes. 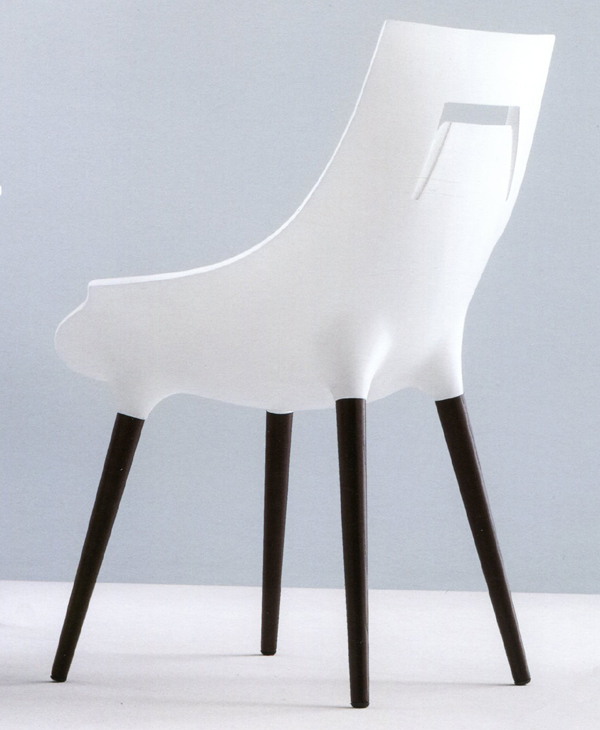 The seat is available in all white, white inner/black outer, or lacquered in a choice of matt colors. 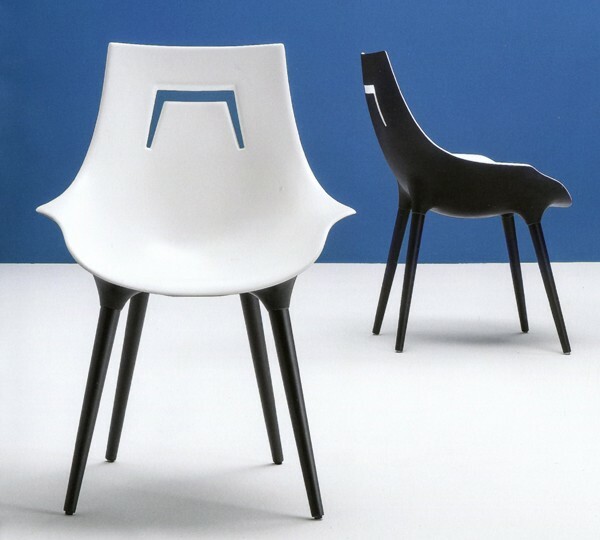 See sample links below for all wood/matt finishes available. Cushion sold seperately, see related products below.